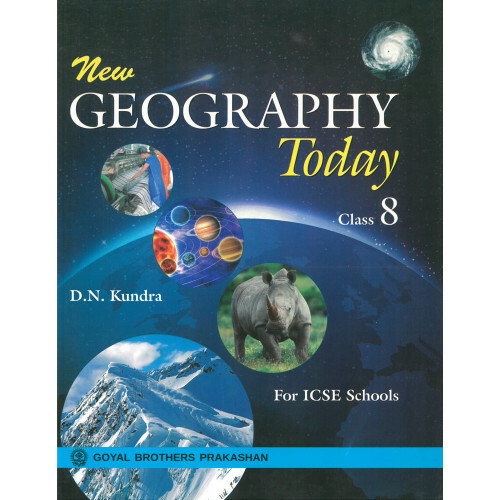 The book New Geography Today. Class 8 has been revised as per the latest syllabus prescribed by the Inter-State Board for Anglo-Indian Education. New Delhi. An attempt has been made to teach geography not in terms of facts and figures cut as a study of man and his relationship with the environment in which he lives. Students get to know about the form of the earth's surface, the occurrence of various phenomena over the earth surface and its consequent effect on the human beings. The various parts of the world have been covered by well selected case studies. The book design, layout ard illustrations make reading and learning a pleasure The maps and the photographs help the students to absorb the concepts with ease. The students have been encouraged to draw sketches, maps, diagrams and to collect additional material so as to enhance the learning process. • The language of the book Is simple and lucid. • Special emphasis has been laid on the organisation of content along with the Illustrations so as to enhance comprehension of the subject matter. 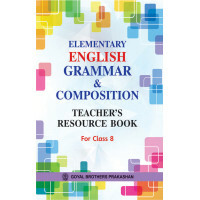 • The Terms to Remember section has been added to highlight and emphasize important facts. • The Practical Work section encourages students to read end to carry out individual assignments and group projects. • This book is also made more interesting by the incorporation of Project Work. Foundation Mathematics Practice Book 4..